Will the format and trimming be right? Will the colours look good? Will the pictures and text be sharp? We can answer all of them in one sentence: Let PrintCarrier.com do your printing and everything will be perfect: the sharpness, colours, format and paper. We think just like you and want to live up to your expectations in every respect – with premium quality. This commitment to quality is based on five principles that apply without exception to us, our suppliers and to every single step in production. 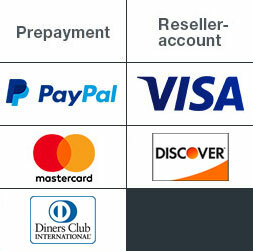 These principles guarantee that you are doing business with a reliable and competent partner. 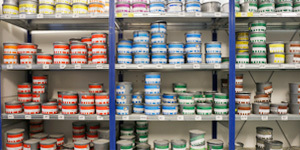 Ink, along with paper, is one of the most important ingredients for printing well. We therefore rely exclusively on premium inks from huber which guarantee maximum depth, purity and brilliance. This applies to both standard printing colours like cyan, magenta, yellow and black and spot colours of the Pantone and HKS series. All papers are not created equal. To cut costs, many printing companies these days use paper from the Far East. But not us. We purchase our premium stocks exclusively from experienced, renowned paper manufacturers such as Papyrus. Our portfolio comprises 60 different paper types, ranging from ultra-light to very heavy, glossy or matt, ribbed or smooth, recycled or freshly pressed from virgin pulp. All our papers feature an impressive look and feel. The third pillar supporting the premium quality of our print products is technology. We print with three different processes, selecting the best in each case to minimise costs depending on the size of the print run. All three processes use state-of-the-art equipment from industry-leading manufacturers with a focus on outstanding brand quality such as Heidelberger Druckmaschinen and HP. Digital printing has become so sharp and precise that we routinely use it for ultra short runs and pressing orders. We print with HP Indigo machines featuring one-shot colour technology. The use of liquid inks and state-of-the-art technology yields a print result that cannot be distinguished from offset quality in terms of colour crispness and image sharpness. Digital printing technology does not require plate exposure. 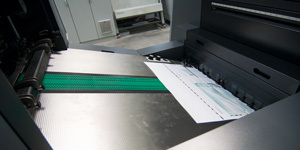 Instead, the print image is sent directly from the computer to the machine so that a separate print image could be created for each paper sheet. This makes the method ideal for short-run printing. In addition to large formats, the LFP process is excellently suited for printing on non-paper-based materials such as canvas, corrugated plastic, textiles, PVC foam board, plastics, mesh foils, Plexiglas, sandwich panels and wallpaper. The LFP process is used among others to produce exhibition items such as roller banners and displays which all meet the mandatory B1 fire protection certification which means that they are mostly self-extinguishing. Our state-of-the-art machines from HP, Durst and Zünd create an optimum print image using solvent-free inks for an odourless and non-fading product. All printed products require further processing steps after printing. This can mean trimming the edges of a flyer in the simplest case. More complex postpress steps are needed for a magazine that additionally has to be folded, bound or glued. Also there are various options to finish products such as film lamination or various coatings. We perform all postpress operations in-house to keep all aspects of product quality under control at all times. Our PSO certificate is the written confirmation that we print in premium quality. PSO stands for ProcessStandard Offset and is an industry standard for offset printing based on the international ISO 12647-2 standard. It establishes consistent quality requirements for everything from data preparation to the final product. 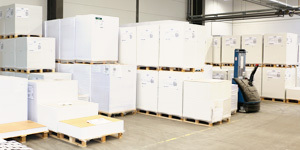 We were one of the first print shops in Europe to have our postpress operations certified according to ISO 16762 to carry out all postpress steps such as trimming, folding, binding, etc. in consistently high quality. And being a PSO-certified print shop, you can be rest assured that we don’t just talk and write about premium quality but actually deliver it – in every single print product that leaves our factory. And finally when packaging and shipping your order. We do this to make absolutely sure that both the data you provide and the resulting prints fully comply with our high quality standards. Our expert team provides competent and friendly advice and support on every job from start to finish whether you are a professional creative or a novice. We will gladly answer any of your questions, because we want you to get the results you want and need. What is more, we want you to feel inspired, supported and competently advised by us, whether here in our shop or by our customer service agents who you can contact by phone, e-mail or chat from 8 am to 6 pm. We take this literally. Because we know what you want: a print shop which is able to render flawless layouts, designs and ideas. Which supplies you with printed items – flyers, posters, business cards, brochures, calendars and more – that will instantly impress your customers and reflect your own commitment to top quality. With vibrant colours, crispness and a compelling overall look & feel – which you can see at first glance. That's what PrintCarrier.com is all about. We started out in 2004 with conviction, ambition and the vision of revolutionising the printing industry by launching an online print shop that works efficiently and fast, offers attractive prices and consistently delivers premium quality of the kind that used to be available from conventional printers only at the time. We also draw inspiration from the invention of the automated printing press which was also invented in Würzburg by KBA in the early 19th century. It’s a good omen that our home town has such a long tradition of innovation in printing. In 2004, printing is still a costly and time-consuming business. It typically takes printers days or even weeks to complete and deliver jobs. The fact that we were offering an alternative to this lengthy process might explain why our services were such a big hit in Germany from the beginning. 2004: Viva la Dolce Vita! Spurred by our success in Germany, in autumn 2004, we aim for the Italian market by launching our first online shop in another country. 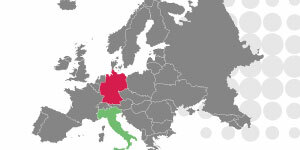 Within minutes of starting up our systems, the first customer places an order from South Tyrol, paying by credit card via a secure SSL connection (still a total novelty in 2004). Just five days after receiving the order, we deliver the finished flyers to our Italian customer. A real record at the time and our first step towards expanding in Europe. PrintCarrier.com continues to grow. In 2005, just a year after starting out, we begin offering our services in France and the Netherlands. Customers there respond enthusiastically, and before long the demand for expertly produced, attractively priced print products is booming in those countries as well. Everywhere we turn, the idea of “fast, inexpensive online printing” is eagerly embraced. We follow up by adding our “Express” and “SameDay” delivery options. Now we can print and deliver orders even faster than before, if requested overnight. This is well received by our existing customers and allows us to win many new clients. Our success story continues: In 2006, we add web shops in Belgium, Luxembourg, the UK, Ireland and Denmark which are joined by Austria, Sweden and Switzerland only a year later. While extending our network of online shops, we also steadily improve and extend the functionality of our PrintCarrier.com website. Until now, all customers have to upload their artwork using an FTP server, but in 2007 we are one of the first online print shops to introduce central customer accounts. Now it’s possible for us to load artwork files straight into our system via the website. In 2009, we develop a system for checking print data fully automatically. It identifies and immediately fixes any problems, thus helping to ensure that our customers receive monitored, flawless print products. Having grown by leaps and bounds, by 2011 our facility is bursting at the seams. We find new accommodation in Winterhausen just south of Würzburg. The benefit for our customers is obvious: We provide the greatest possible confidence that the supplied artwork is in fact processed, printed, finished and delivered without any errors. Our specialists in IT, in the pressroom, and in logistics are always vigilant. In 2013, we invest in a new, semi-automated shipping line that enables us to dispatch orders to customers in Germany and abroad without any delays. Each parcel gets a tracking number which allows customers to check the processing and shipping status online. Yet another important step in improving our service is the introduction of the “SameDay+” delivery option. It lets customers receive their finished orders the very next day in premium quality, as long as they order by 5 pm. In early 2016, we finally open a long-planned PrintCarrier.com branch in Wernau near Stuttgart. From now on, we will coordinate all our online marketing activities from here while serving customers across Europe with the help of a multilingual team. We have certified our print production according to Process Standard Offset (short PSO). Artwork setup and colour fidelity are key to producing optimal print results. For this purpose, Ugra, the Swiss Center of Competence for Print and Media Technology, audited and certified our production site. We are one of the first print shops in Europe to have our postpress operations certified according to ISO 16762. It specifies guidelines for the production steps that follow printing such as trimming, folding, stitching and binding and allows us to produce in consistent quality, including reprints. This big step into the future was accompanied by transferring the web shop to the newly founded PrintCarrier.com GmbH domiciled in Fürth. This company will now continue our brand name. Printing has been our passion since 2004. This has been felt both by our employees and our customers. And we have achieved a lot. But there is still a lot to do. Because there is always room for improvement. After all, printing is much more than putting ink on paper. Speed, clearly defined processes, a friendly customer service, goal-oriented user guidance and printings in top quality are at least just as important. We are committed to satisfying these central customer requirements and ultimately improving them every day. This is one reason why we are among the top players in Europe today, serving markets in over a dozen countries with our multilingual customer service. Today, tomorrow and into the future.